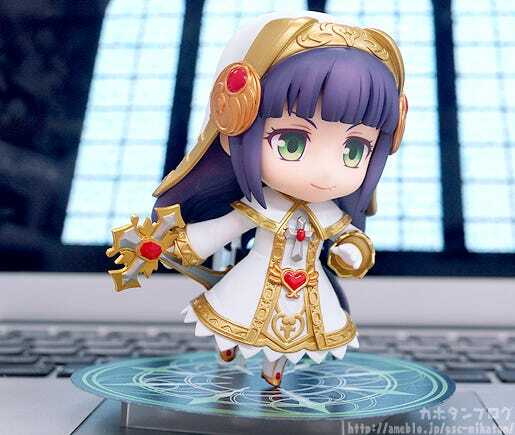 From the popular smartphone game ‘Shironeko Project’ comes a Nendoroid of the dark nun who broke her vows – Mira Fenrietta! She comes with both a standard expression as well as a triumphant expression. 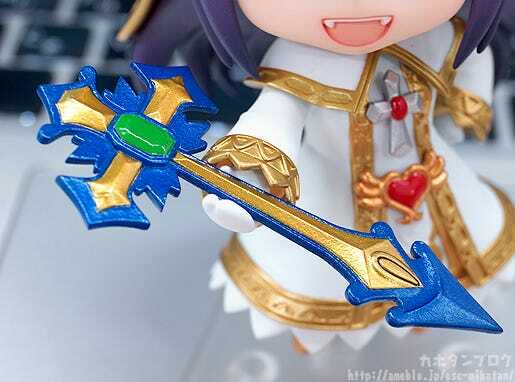 Optional parts include her ‘Holy Cross’ weapon as well as her main source of nutrition – a packet of bean sprouts! 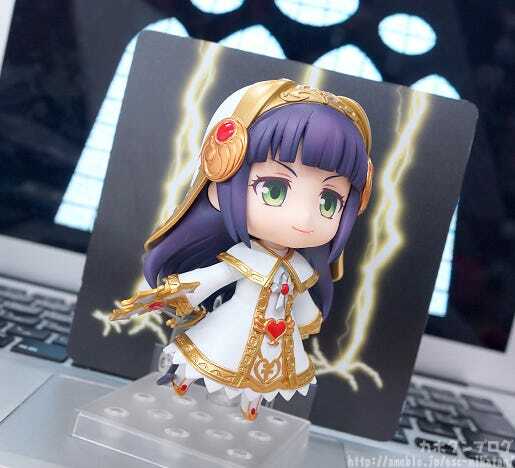 She also comes with special parts that allow you to recreate her ‘Lightning Bolt’ and ‘Holy Heal’ skills from the game! 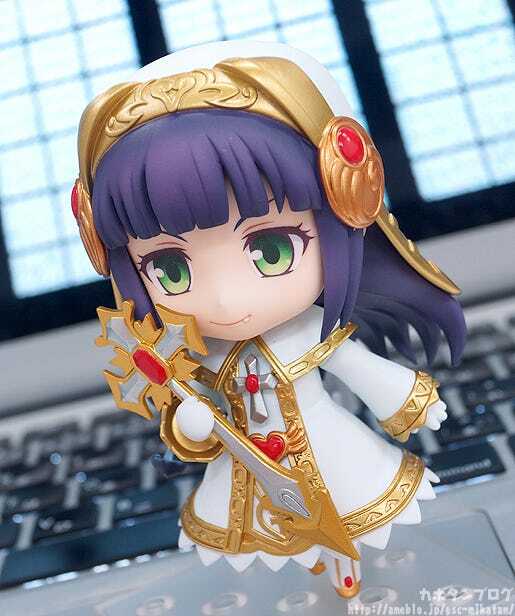 Be sure to add the haughty Mira-sama to your collection! 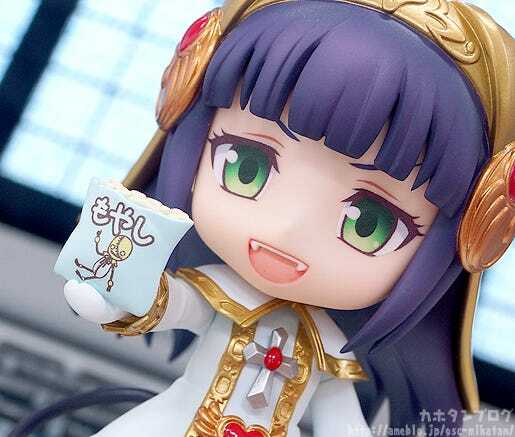 Though she’s available for pre-order starting today, the undertaking of this product development was hush-hush – so are you guys surprised or what!? 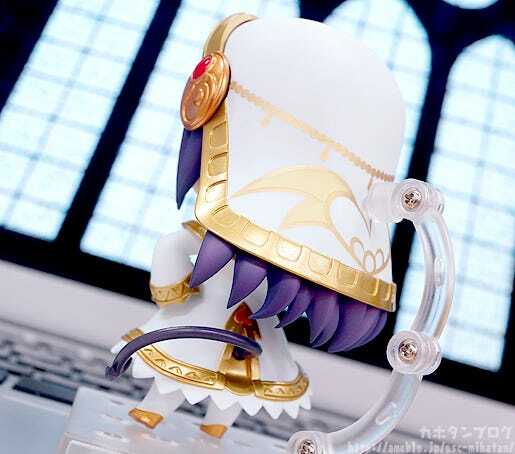 her lavishly detailed accessories, unique nun’s habit, and demon’s tail have all been included. 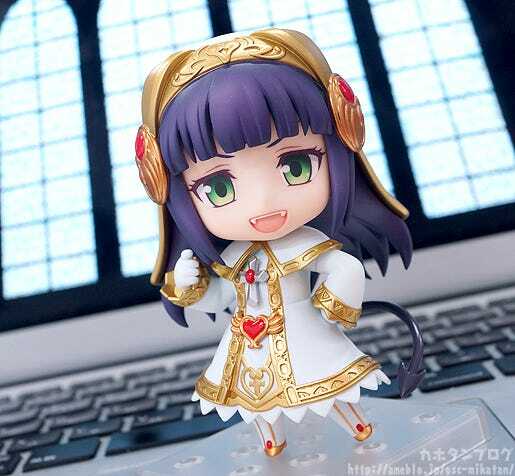 Of course, just like any other Nendoroid she comes with a variety of optional parts and accessories! The mascot character on the bag looks exactly like it does in-game! 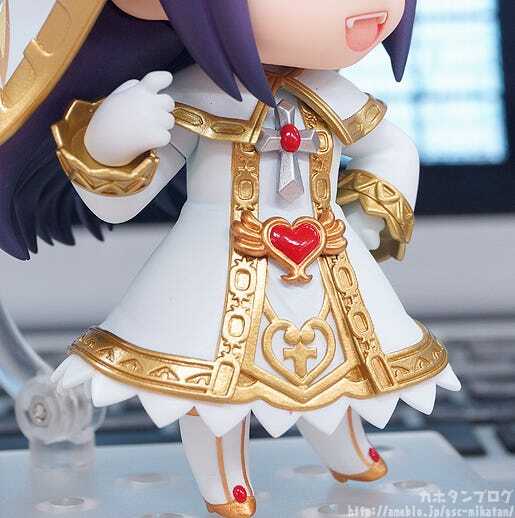 Even though it’s been given the SD Nendoroid style design, it still has the sharp weapon-like points! And check out her face in that photo, too! Wait, did you all see that… ?! She seems to have grown wings… ! 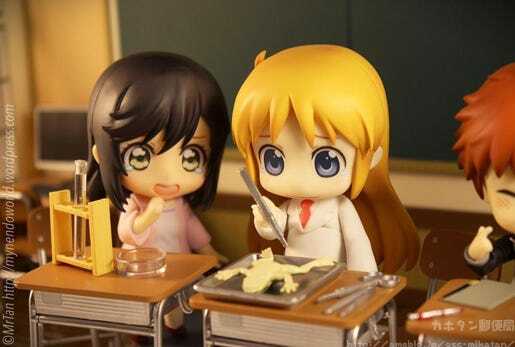 Combining the various expressions and optional parts is one thing that sets Nendoroids apart from the rest! 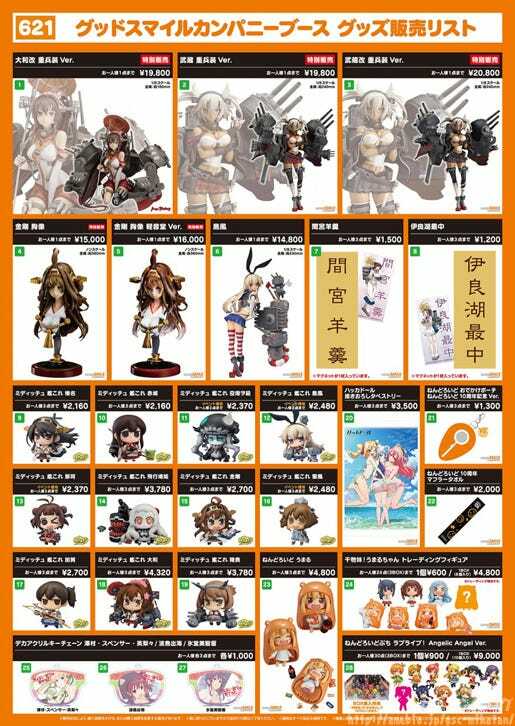 On top of all that, she also comes with this Background Sheet & Backgroung Sheet Support, and if you combine them with the Holy Cross from before… ! 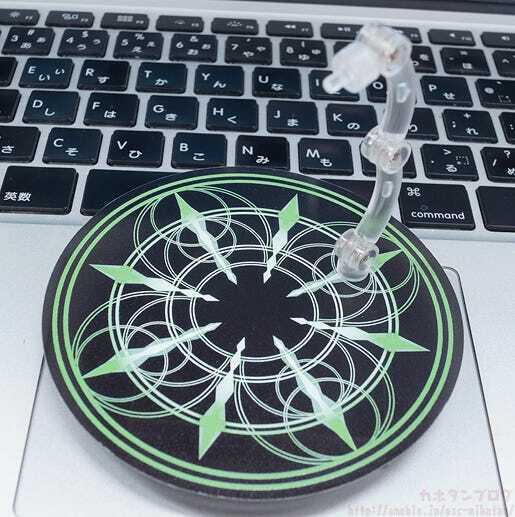 so that it can be inserted between the prop and the stand, like this. 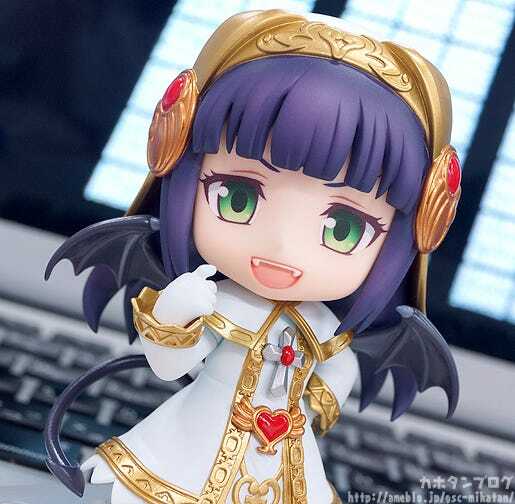 In addition to showcasing all-new Good Smile Company figures, we’ll be taking some previous releases out of the store house – including Wonderful Hobby Selection figures!